Entertainers are pretty much expected to be a little weird. Add in money, and that weirdness can emerge in some of the wildest collections you can imagine. Forget coins and stamps, these celebrity collections are anything but ordinary. But he’s narrowed it down to Barbie dolls. 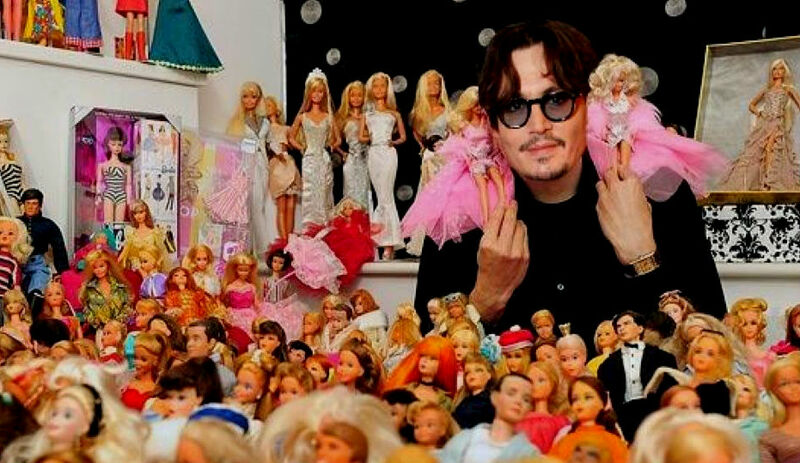 He has quite a collection of limited edition dolls and even has admitted to playing with them — with his daughter Lily Rose, that is. Not Barbies, but the porcelain antique dolls that tend to star in horror movies. Supposedly she has over 3,000 vintage dolls and even has an entire house to display them in — not a room, a whole house. And she still roams antique stores around the world to add to the collection. Reportedly her collection creeped out her ex-husband Ashton Kutcher, who said in an interview once that he thought the dolls had souls and were watching him.